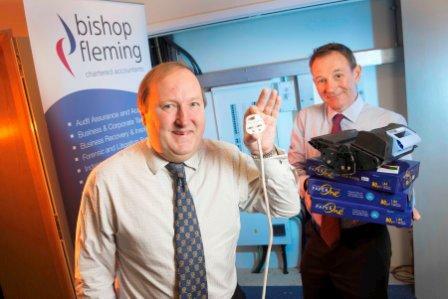 South west accountancy firm, Bishop Fleming, has exceeded its energy reduction targets, despite its continued expansion. Since introducing an Environmental Management System (EMS) in 2011, Bishop Fleming has increased its offices from five to seven across the region and increased its staff from 200 to 300. Nonetheless, the firm has out-performed its 5% reduction target for energy consumption, car mileage, and the use of paper. Over the past year, gas and electricity consumption per employee has been cut by more than 8%, car-mileage per employee has dropped by 6%, and paper use has been trimmed by almost 17%. Director of corporate development and sustainable energy specialist, Ewan McClymont, based in Bishop Fleming’s Truro office, has introduced the firm’s EMS into all seven offices, and tracks the outcomes. Accountants must still use paper, but the Bishop Fleming plan has made big inroads. “We have reduced our paper use from 18 reams per employee to 15 over the past year,” said McClymont.